In 2012 Carl Beech, Andy Kind, and I got together in a room in Chesterfield to talk about how we could help with the tough questions that are asked both of ourselves and of our faith. Carl – as the then head of Christian Vision for Men (CVM) – wanted to reach the men of the UK with the good news of Jesus. Andy – the comedian and storyteller – wanted to blend his comedy with his apologetics passion. I – fresh out of my training with The Oxford Centre for Christian Apologetics – was eager to get stuck in where there was a need. And this is how the Demolition Squad was born. Now three years in, with articles written, podcasts attempted, and conferences attended we’ve pulled together some of best content and blended it with a fresh, funny (thank you, Andy) voice in one book: The Ultimate Survival Guide: How to talk about God, the Bible, and stuff. Talk about Jesus anywhere and you will inevitable face questions in response. This is as true in the UK as in other countries. However each culture will frame questions in a particular way and with a particular emphasis. The challenge that Carl, Andy, and I faced was how to answer the questions being asked from men in the UK. Not this narrows the scope of book to too fine a spectrum, the book is still broader than something aimed at bird watching enthusiasts from Hull, for example. Over the first three years we employed different tactics and approaches, and having distilled all our thinking, writing, and speaking we came up with three areas of questions tackle in the book: Scientific and Logical Objections, Personal and Emotional Objections, and Biblical Objections. So many different religions…they can’t all be right! What about people who haven’t heard about Jesus? This one is a biggy, so we added an extended section at the end of the book dedicating more time to unpacking this particular challenge and explore some of the hopeful replies that Jesus offers in response. Read an extract from this section on the CVM blog. 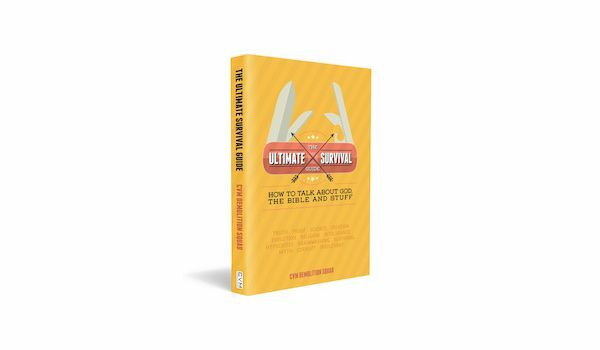 The Ultimate Survival Guide is now available to pre-order from the CVM website.